Earn $4.94 in Rewards credit (494 points) What's This? The tire that's ready to shred anything is now available in 650b. 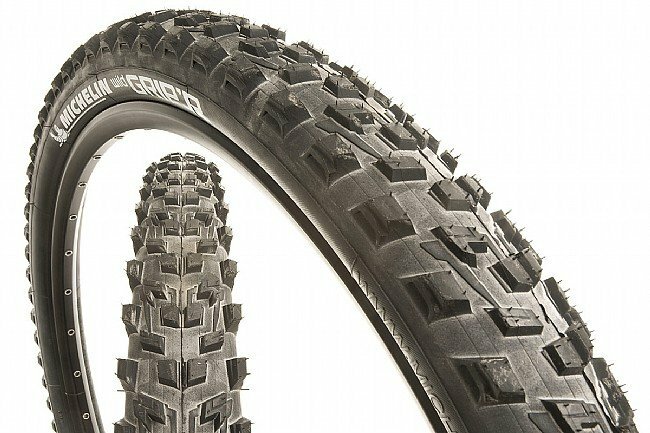 Michelin's Wild Grip'r2 Advanced blends top quality materials with an amazingly versatile tread and hassle-free tubeless compatibility. This newest Grip'r features an updated tread consisting of closely spaced, medium height center knobs and aggressive angled shorter lugs. The resulting design delivers a speedy roll on hard-pack, confident performance in the corners, and reliable mud shedding in semi-loose conditions. This Advanced model also features a top quality 110 TPI casing, and the Gum-X dual compound for an ideal combination of rolling resistance, grip and longevity. 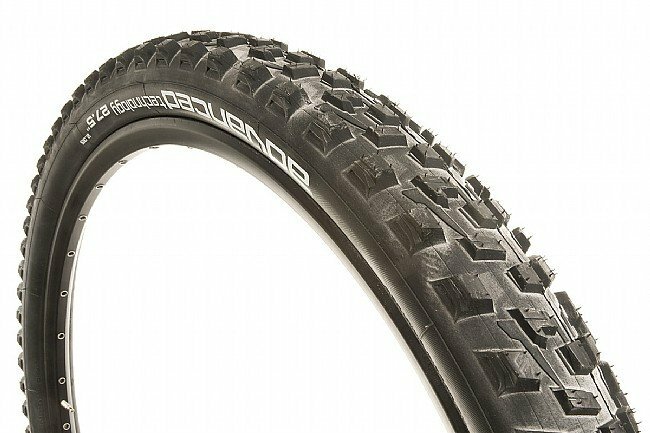 The Michelin WildGrip'r Advanced 650b Tire features a tubeless ready construction. Folding bead. 110 TPI casing. Available in 650b x 2.25 (27.5 x 2.25 Inch, 54-584 ISO) and 650b x 2.35 (27.5 x 2.35 Inch, 60-584 ISO). Recommended pressure: 29-58 PSI. Weight: 545g/560g. (claimed). Note: The 650b tire size is sometimes referred to as "27.5 inch." This tire is not compatible with 26 or 29 inch wheels.